Halloween is coming up and like a lot of holidays it reminds me of great times we’ve had on the road. For three years we spent every holiday on the road in our Airstream, and many other holidays since then. 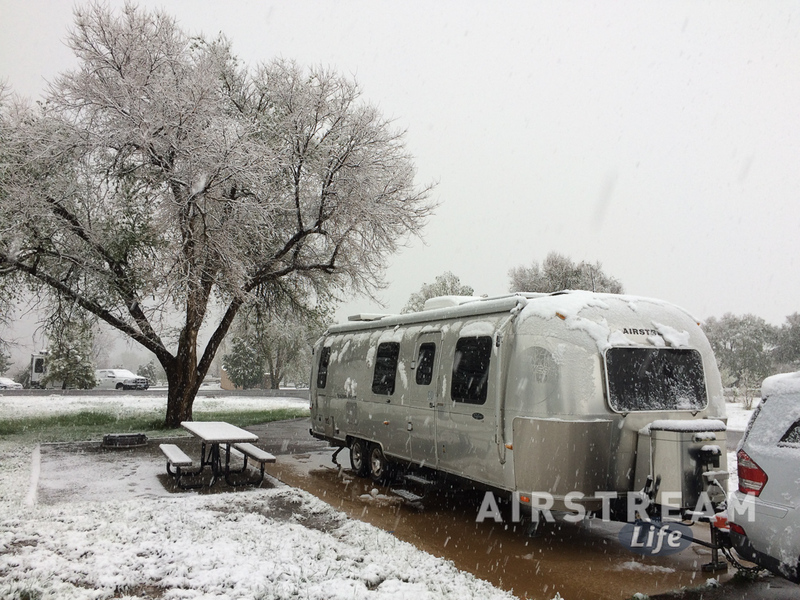 The Airstream is just a fun place to be. 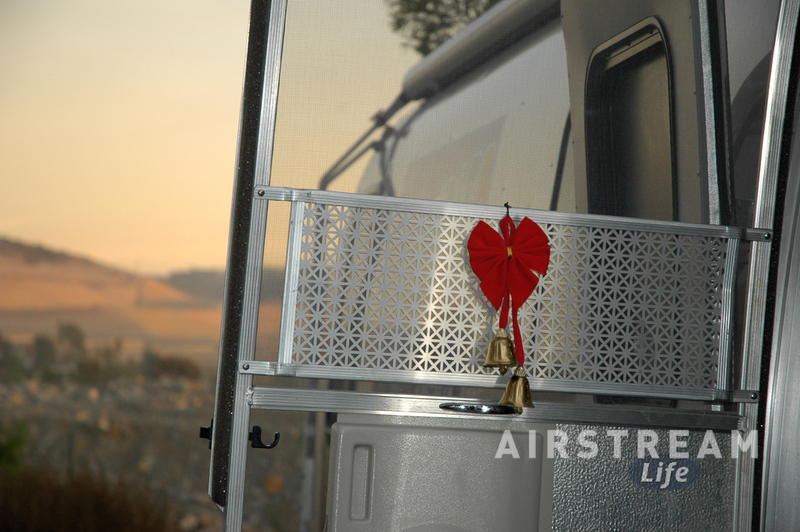 Being in the Airstream makes each holiday so much more memorable. We’re simultaneously away from our familiar surroundings and routines, and yet completely at home. Christmas in the Airstream is a particular favorite of mine, perhaps because many of the trappings of that holiday are stripped away, leaving us to focus on the things that really matter: each other and the moment we’re in. If you ever have lamented the fuss, traffic, commercialism, over-abundance, and family stress of Christmas, I strongly advise you to pack up the Airstream. Pick the right spot far away from the hubbub, shape a little potted rosemary bush into a tree, warm something nice-smelling on the stove, and suddenly Christmas becomes peaceful and magical again. I remember very well each of the Christmases we spent in the Airstream because they were unique. The first was near San Diego, and we went to the San Diego Zoo on Christmas day. The next year it was St George Island, and we walked the endless open beach by the state park. The next year we bought a house and spent one night camped on the living room floor because the house had no furniture (then we moved back into the Airstream for another 10 months). 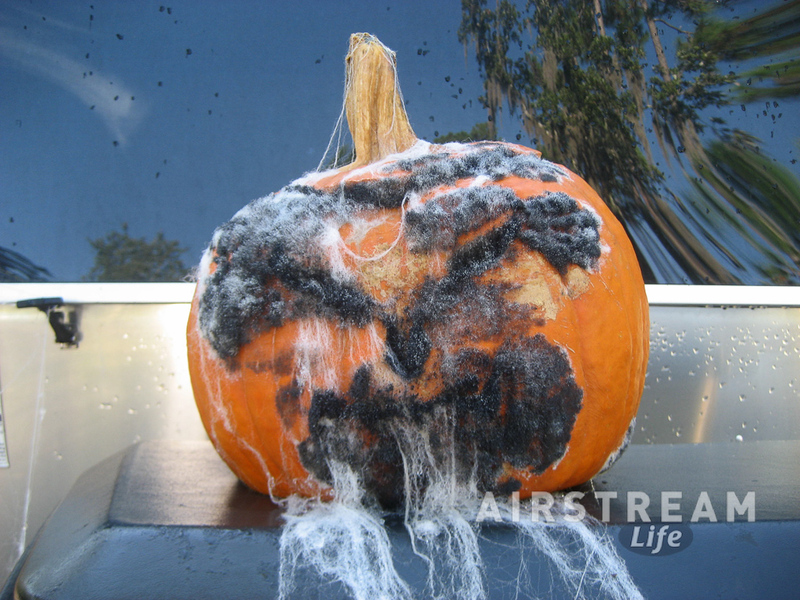 I like Halloween in the Airstream too, because we always see a different version of it. 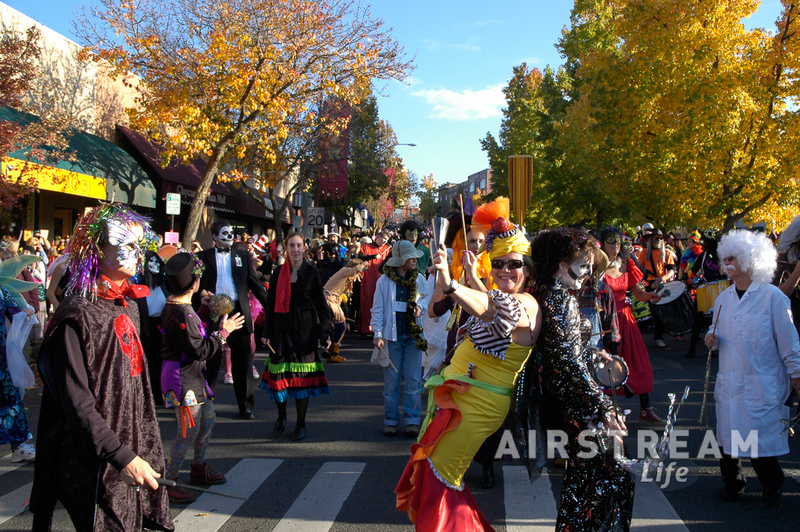 In Oregon we joined a parade and saw some wonderfully incredible and creative costumes. We’ve spent many a New Year’s Eve camped at Anza-Borrego Desert State Park in California, but in the past few years the park has gotten a little too popular at that time of year so lately we’ve been seeking alternatives locally. Still, I love a New Year’s Eve where the primary sound at midnight is a pack of coyotes howling. Other people like parties, and if that’s your style you can always find a New Year’s Eve rally. Eleanor has even successfully prepared a complete Thanksgiving dinner in the Airstream. She had to shop for a very small turkey that would fit in the oven, and the limited counter space was a problem that required lots of pre-planning, but it worked out. One tip if you ever do this: definitely find a full-hookup campsite. Otherwise it’s hard to have enough water capacity for all the dishes afterward! Perhaps the best thing about major holidays is that many of them occur in the winter season. If you live up north each holiday gives you an excuse to load up the Airstream for some off-season camping, which can be a lot of fun. You’ll burn more propane and use a lot of electricity but with a campground hookup it’s really no problem to take the Airstream out. Waking up to a fresh snow or a bit of frost on the ground somehow feels very cozy when viewed from your warm Airstream—and you know you don’t have to go anywhere. I know we’re all supposed to enjoy holidays because each holiday is a chance to get together with the family. But if that’s not your reality, the Airstream has another huge advantage: you can be far away, and even unreachable if you want to be. There are lots of places in North America where cellular service still doesn’t penetrate (but you can still watch the football game on TV). Just look for state park campgrounds located in valleys, national forests, or open desert area. And if you are staying home, keep in mind that your Airstream can be a great guest house for a visitor, with just a full tank of water and an electric plug. You might be enjoying the holiday at home, but perhaps someone you know wants to have a memorable holiday stay? Considering that people are lining up to pay to stay in Airstream hotels all around the world, there’s a good chance you know someone who would get a kick out of a night in your very own “Air BnB”.